Troy's vast experience, from working with some of the music industry's most talented and influential stars to his current role as Global Head of Creator Services at Spotify, speaks not only to his deep understanding of industry trends but also his incredible adaptability as a business mogul; throughout his career, he has leveraged his experience to continue to grow in each varied role, a challenging feat and one that will resonate with INBOUND attendees. 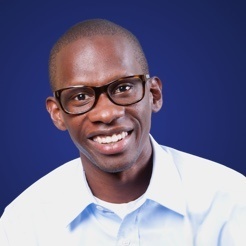 Troy Carter is the founder and CEO of Atom Factory and co-founder and Managing Partner of Cross Culture Ventures. He serves at Spotify as its Global Head of Creator Services, overseeing the company’s relationships with artists, producers, songwriters and record companies. In 2017, Troy was also named Entertainment Advisor to the Estate of Prince Rogers Nelson. Troy rose to prominence In the music industry, nurturing the career of hip-hip sensation Eve before transforming Lady Gaga into a global pop phenomenon through the nascent innovation of social media. Since then he's managed the careers of John Legend, Lindsey Stirling, Meghan Trainor and Charlie Puth. His foray into the tech world resulted in the formation of Atom Factory's angel fund and VC fund Cross Culture Ventures. Early-stage investments include Uber, Lyft, Dropbox, Spotify, Warby Parker, theSkimm, MOAT, Gimlet Media, Thrive Market, and ATTN. Troy also serves as a member of the Board of Trustees for The Aspen Institute and the Los Angeles County Museum of Art, as well as a board member for organizations including The Grammy Foundation, United Nations Global Entrepreneurs Council and the James Madison Council at The Library of Congress. Carter spent time as a guest shark for Season 7 of ABC's hit primetime show Shark Tank, and has been globally recognized on industry lists for Fast Company's Most Creative People, Billboard's Power 100, as well as The Hollywood Reporter's Silicon Beach Power List.